Sunrisers bowlers once again delivered defending another low total against Royal Challengers Bangalore on Monday. 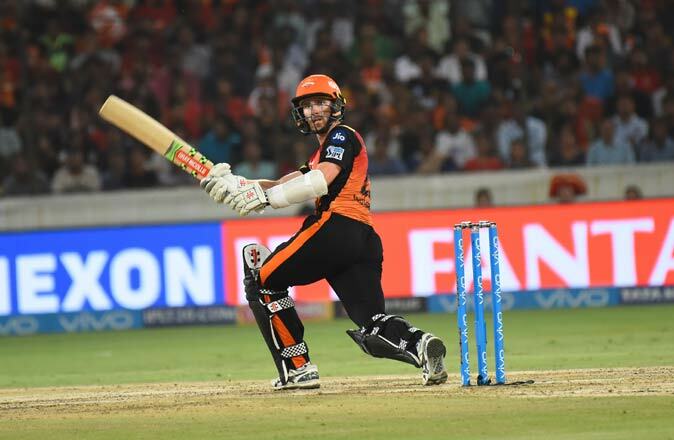 Hyderabad: Sunrisers Hyderabad are on a roll recording five consecutive wins and virtually sealing a place in the playoffs. However, skipper Kane Williamson feels that there are areas the team needs to improve on. Sunrisers bowlers once again delivered defending another low total against Royal Challengers Bangalore on Monday. They recorded a narrow five-run win over the Virat Kohli-led side defending 146 runs. The New Zealander felt that the nature of the surface also dictated the terms. “I think it was another varied surface. We were certainly targeting 150. We weren’t far away from that. At the half way stage we certainly thought that we were in the game. And with the ball in hand, we took wickets and stopped partnerships. We didn’t have our usual standards in the field. That is something we can build on going into the next game. It is really nice to play hard on the field and come out winning again,” he said after their victory. Williamson also credited his bowlers for choking runs in the middle and putting pressure on the opposition. “The wicket was keeping low and slow. The slower balls came into effect as well. It would be great to take more wickets in the beginning itself. Our bowlers built pressure by choking runs in the middle. If we can build that pressure things can happen quickly. The bowling has been outstanding and so is the fielding. Today we weren’t at our best with either of them but we sneaked through,” he concluded.